Implementing a corporate strategy can be costly and time-consuming, particularly if the strategy is implemented prematurely and without consideration of its impact on existing operations and future aspirations A poorly thought out strategy can hinder efficiency and the effectiveness of immediate and future needs. Given how frequently technology evolves, goals changes and target market shifts, successful organisation must be flexible to absorb and incorporate these changes Understanding the competitive environment, the size of the opportunity and the geographic focus is the key in defining a strategy. Assessment of Current Strategy: Analysis of strategy against current strategic plans and vision. 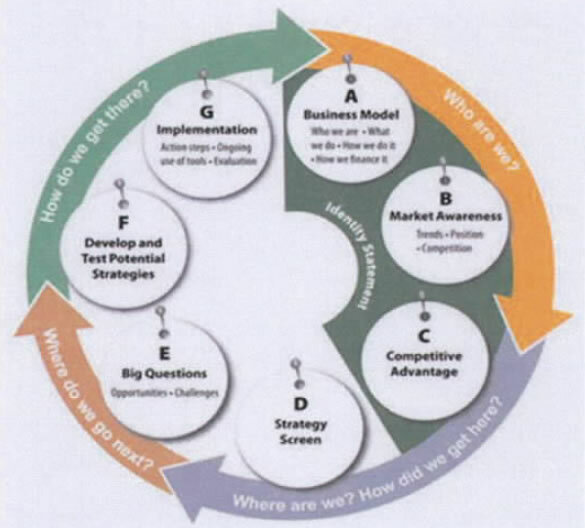 Viability assessment of future strategy within the context of the new and changing business environment. Develop Strategic Blueprint: Taking the vision and mission and translating that into a strategic blueprint with details for all components of the strategy. Identify Product and Service Mix: Identify key internal strengths and expertise with the aim of aligning those products or services that are in high demand and/or can optimize revenue. Geographical Strategy: Size key markets and develop individual marketing approaches. Implementation Strategy: Using Kinetrix project management methodology Kinetrix will ensure the right structure and resources are in place to execute and deliver the strategy. Benchmarking and Analysis: To assess the success or failure of any strategy it is important to benchmark.